Control your gear with a wave of your hand! 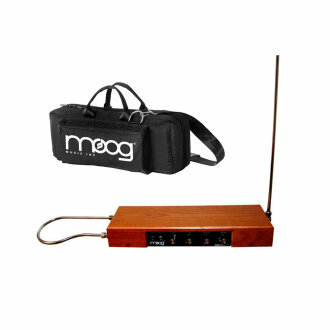 The Moog Music Etherwave Plus Theremin extends the Theremin's gestural playing technique to the world of analog synthesis and beyond. Control synthesizers and effects while playing the Theremin or use as a stand-alone Control Voltage controller. Connect the Moog Etherwave Plus to the pitch and volume CV inputs of a Little Phatty, Voyager or other analog synth for a unique way to play your synth. The CV outputs control signals are proportional to the pitch and volume of the Etherwave Plus Theremin's audio signal. Connect to the pitch and volume CV inputs of a Little Phatty, Voyager or other analog synthesizer for a completely unique way to play your synth. These CV signals are not limited to pitch and volume control. Route them to any CV destination and create a world of expression. 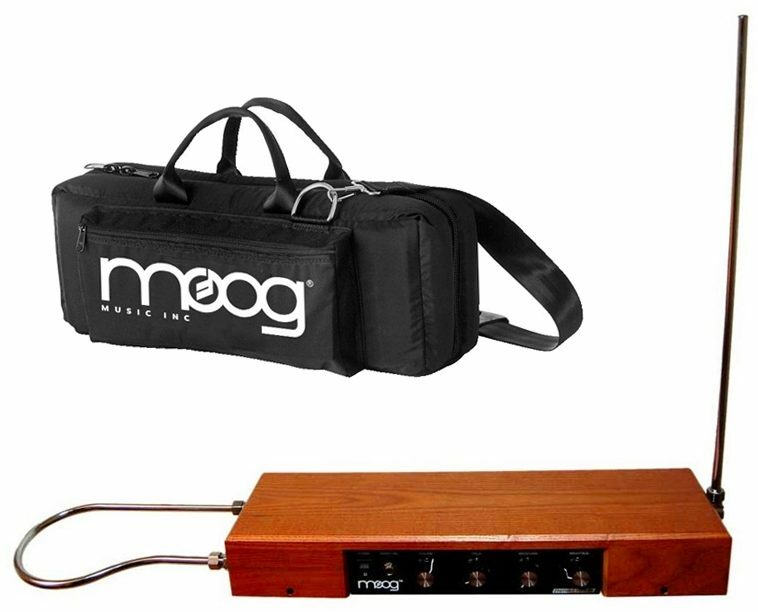 With the Moog Music Etherwave Plus Theremin you can control anything from the cutoff frequency of a Moog Ladder Filter or the LFO Amount on a Moogerfooger Ring Modulator to the stereo panning on a Minimoog Voyager. Available until 11 PM (EST) today. Mention special code 1ZT-P2MG when you call.